Get the most out of your Pinterest Business profile by driving hundreds of thousands of views to your blog or business every single month. We have a package to suit every budget especially designed for those bloggers or business owners who would like to take their online site to a new level and generate a serious online income month after month. Zero to 21,568 Viewers In 30 Days!! Zero to 103,000 Viewers In 4 Months!! Who Else Wants a 400,000% Increase In Their Traffic? 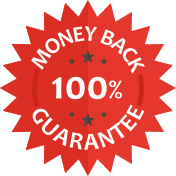 If after implementing all of the strategies you fail to see a 50% increase in traffic to your site we will be happy to give you a full refund after the first 30-days. However, there is a catch you need to show us that you implemented all the strategies agreed during the planning sessions and weekly follow up appointments. Please bear in mind that it takes 14 weeks to start experiencing full results on Pinterest since the half-life of every pin is roughly 3.5 months.